Laura Brown, the new Editor-in-Chief of InStyle, has already begun to put her stamp on the title. Her vision first became apparent with the November issue featuring Emily Blunt and is even more evident on the newly unveiled December cover. Actress Reese Witherspoon oozes Old Hollywood glamour wearing a black one-shoulder Giorgio Armani gown in the festive cover image shot by Thomas Whiteside. However, our forum members simply weren’t feeling it. “She looks gorgeous, but the layout went from 99% to 15% real quick. Horrible layout,” slated a far from impressed MON the second the cover came to light. “Reese looks better than expected, but I find the excess jewels very tacky. Also not a fan of Laura’s redesign, it’s too much! One could actually see the clothes on this year’s covers, looks like she’s doing away with that as well,” pointed out Benn98. “She looks gorgeous, but I find the fonts to be overpowering,” SouthernVogue ranted. Dodencebt felt the same way. 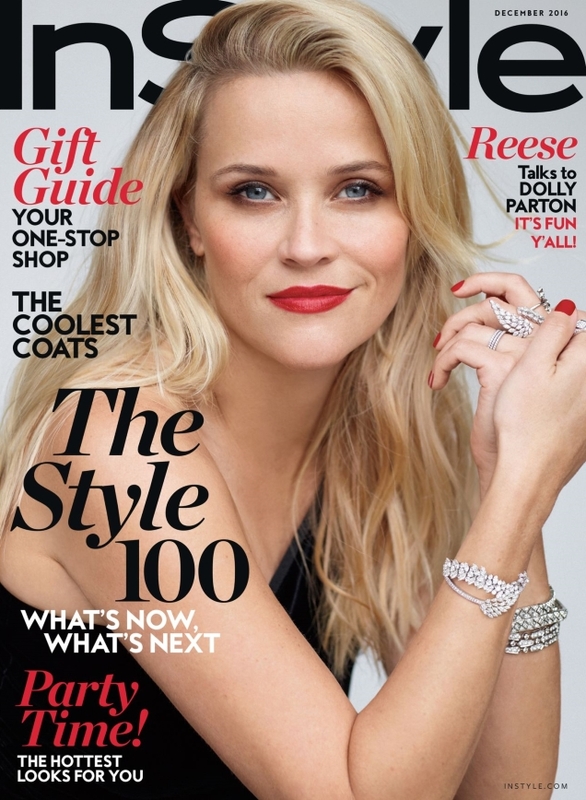 “Reese does look gorgeous indeed but the layout redesign is disgusting. Let’s see if it works as well as Laura thought it would,” he wrote. “Bad. Just bad. Looks like a fake magazine from a movie yet again. Such a shame, I really like Laura and thought she was going to inject some glamour into InStyle,” shared a more than disappointed Lucien112. “Oh Ariel [Foxman], I miss you so…” sighed Marc10. Are you just as disappointed with the outcome as everyone else? Drop us a comment here.